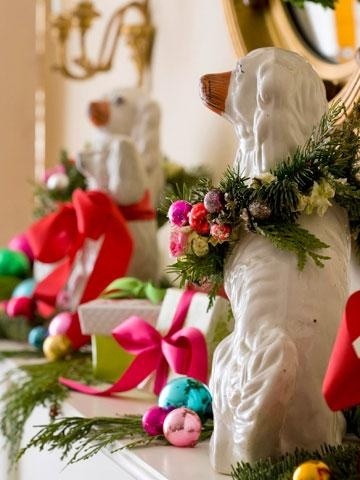 I am so in love with these darling Staffordshire dogs all decked in merry and bright Christmas decorations. A great combination of traditional and nontraditional, in my opinion. 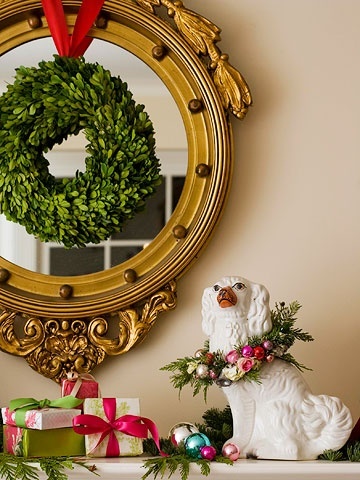 A perfectly handsome pair to spread some holiday cheer and add personality to your ho-hum mantle! Just a little Thursday evening inspiration to get you through! Awww so cute!! On the look out for the perfect pair for my fireplace. Those are so adorable! I love that they can be styled to stay up year-round.